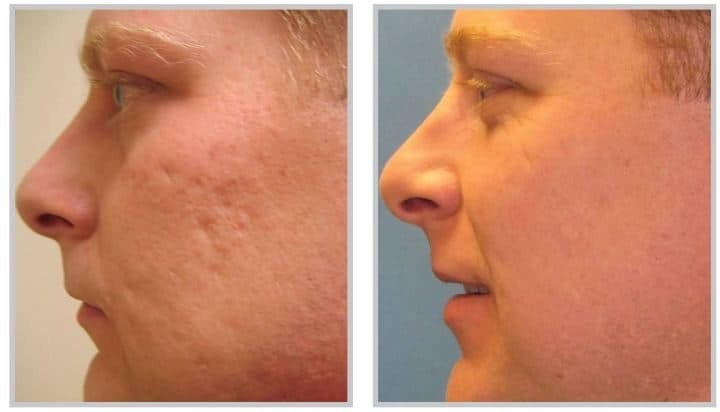 Profractional Laser is Sciton’s solution for achieving excellent resurfacing results with minimal downtime. Unlike full field resurfacing which removes the entire surface area of a treatment site, ProFractional ablates narrow-diameter channels into the skin, covering a fraction of the total treatment area. This action initiates the body’s wound healing response, while leaving the surrounding tissue intact for rapid healing. The benefits of ProFractional include increased patient comfort, shorter healing times, and tunable results that can range from subtle to dramatic. What truly sets ProFractional apart is TRL technology, which gives the user the ability to adjust the depth of ablation and coagulation independently. By modulating the laser’s energy to deliver supra-ablative pulses, ProFractional is able to vaporize any depth of tissue.